Johnson was recently profiled in City & State NY magazine in a profile that highlighted his achievements in his first year as Speaker. 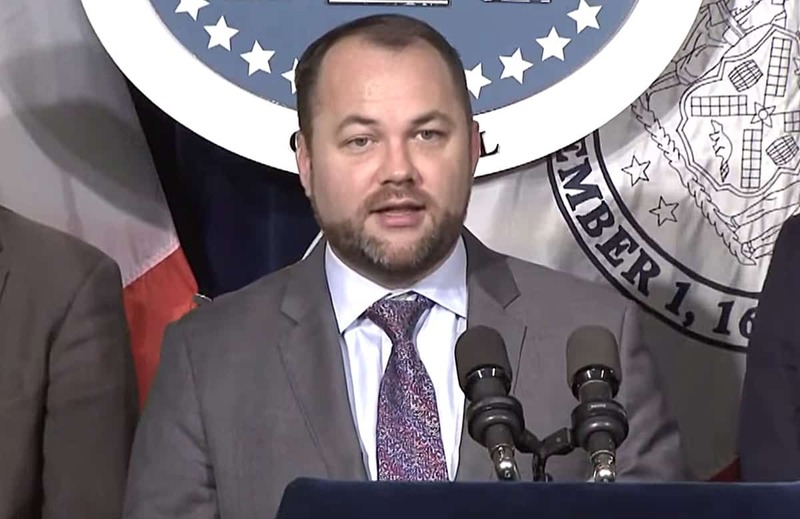 Johnson, who is openly gay and HIV positive and for several years served as Towleroad’s political director before joining his NYC Community Board 4 and getting elected to City Council in 2013, was elected Council Speaker in 2018. He recently spearheaded legislation that allows for Gender ‘X’ on NYC birth certificates. Additionally, transgender New Yorkers no longer need a letter from a doctor to correct the gender on their birth certificates. Johnson also made national headlines in 2000 as a high school student when he came out as gay while captain of his football team. As Towleroad’s political editor, he traveled to the Democratic National Convention in 2008 and other events, posting interviews with prominent lawmakers and public figures including Kirsten Gillibrand, Jared Polis, Gavin Newsom, Jerrold Nadler, Tammy Baldwin, and many others. Here’s Johnson’s interview with Lady Gaga at the National Equality March in 2009.